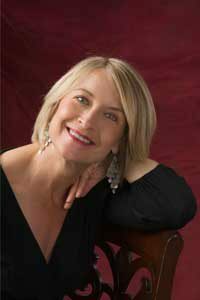 Beth Ullman – Women In Jazz Association, Inc.
Beth Ullman has been wowing audiences in the Southwest for the past twenty years with her innovative renditions of jazz standards. Beth, an award winning singer/songwriter, is known to her fans around the U..S. for her well crafted songs and uniquely evocative voice. In 1990 she was a winner of Musician Magazine’s Best Unsigned Bands contest with an original jazz ballad and her songwriting career took off. In 1993 she was voted Best Jazz Singer by the Austin Players & Critics Poll. In 1998 John Aielli of KUT radio Austin voted her original meditation cd “Go Within” his “Favorite Album of the Year”. Her newest release, We’ve Got Tonight, is being distributed by Austin indie label Aardvark Records. This captivating mix of original pop tunes evokes shades of Bonnie Raitt, Joni Mitchell and kd lang. Austin’s own Mitch Watkins produced and played on several of the tracks, creating a scintillating sonic landscape which forms the perfect backdrop for Ullman’s newest songs. With a degree in music from UT Austin, Ms. Ullman is on the Commercial Music faculty at McLennan Community College where she sings with the Faculty Jazz Group. Past venues have included Austin’s One World Theatre, The Four Seasons, Antone’s and as a vocalist for Disney Films. She is also a member of The Beat Divas vocal trio, and has studied improvisation with vocal master Bobby McFerrin. – Michael Point, Austin American Statesman.